It's time again to gather round the old family computer and the festive shopping mall to hurriedly search for the perfect gift for friends who probably won't get you anything in return and family members you haven't seen for about a year. Yes my friends, the holiday season is upon us and that means consumerism galore. For those people that are impossible to shop for and for those that don't deserve any better, sometimes the best gifts are those that are just plan strange or rude. And with that in mind, it's time to kick off InventorSpot's yearly roundup of the weirdest, dumbest and silliest Christmas gifts to stuff under your tree this year. This gift will have the dedicated atheist questioning her beliefs and a fundamentalist Christian dashing off to eBay. 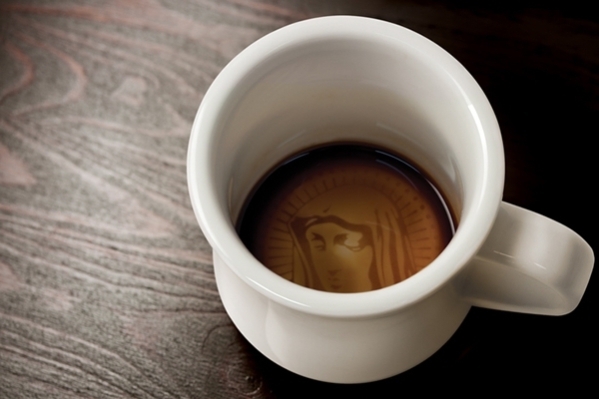 Once they realize the "miracle" isn't as big of a deal as they first thought, they will enjoy sipping their late down to Mary's face every morning. Nothing like a mug of minor miracle to start your day. 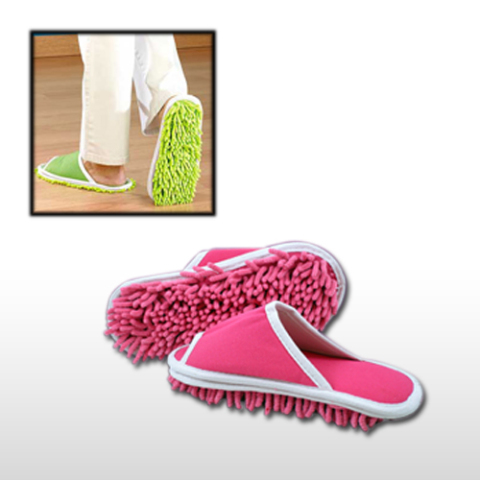 These sweeper slippers are a perfect gift for the lazy teenager who refuses to do any housework. This year, trick them in to pull their weight by giving them comfy slippers that also help clean hardwood and tile flooring. 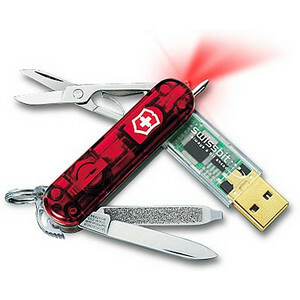 While traditional Swiss Army knives are a necessity for survivalists, this modernized Swiss Flash USB Knife is ideal for the 9 to 5 office survivor. With tools like a flash drive, a flashlight, a ballpoint pen (for emergency check endorsing), scissors (for cutting unruly sweater threads), a nail file (for those deadly hangnails) and a tiny knife (to help clean the crap out between your keyboard keys), you're gift recipient is certain to have everything they could possibly need to survive a day in their cubicle jungle. With the increasingly invasive TSA pat downs, it's nice to know that holiday travel doesn't have to leave you helpless. 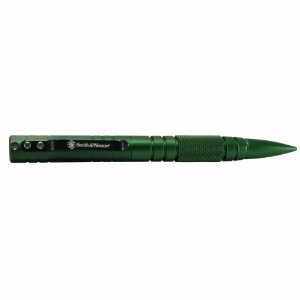 This Smith And Wesson Tactical Pen is completely legal to carry on a plane, writes smoothly and can help you shatter an enemy's skull. It's comforting to know that despite all the liberties we have sacrificed in the name of safety, anyone can still bring a weapon on an airplane. Hooray buracracy! Go TSA! The perfect gift for any new mother: a way to get away. 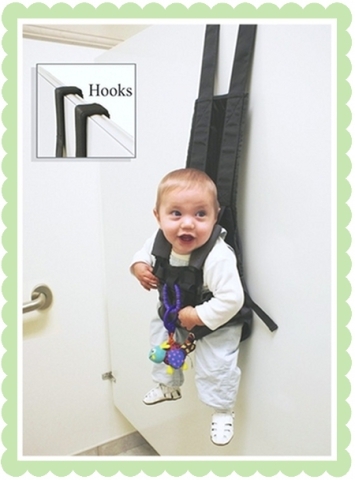 While the company promotes the Babykeeper as a convenient way to let a mother use the bathroom freehanded while still letting them watch their baby, we all know that no one who owns this is going to limit their usage to restroom trips. Need to get ready for a hot date? Use the Babykeeper. Trying to have a good time at the end of the date? Use the Babykeeper. If you think that sounds mean to the baby, remember, there are a lot worse things in life than just hanging out. 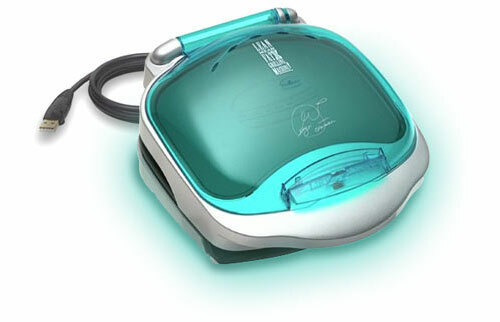 Let's face it, cooking and computers aren't exactly a perfect match, but when you've been playing WOW for 9 hours straight and your Monster Energy Drink just can't sustain you any more, the George Foreman USB iGrill might be just what you need to get nourishment without having to take a break from fighting liches and worgs. There's no cooking experience necessary, just load the grill, upload a recipe and the machine will set the timer and do all the work. Best of all, it's at least moderately more healthy for you than Jack In The Box or Dominos. If you are friends with any bacon fanatics, or anyone over 350 pounds, a bacon gift set is a great way to touch their heart...quite literally. While there are plenty of ways to enjoy bacon without actually ingesting it, food gift baskets are much more classy and easy to put together. In the basket, include some bacon soda, bacon hot sauce, bacon gumballs, bacon lip balm, caffeinated maple bacon lollipops, tactical canned bacon (for emergencies), bacon popcorn, Bacon Salt (to top the popcorn), bacon jellybeans, some freshening bacon mints and some effervescent bacon tablets. Let's face it, Harry Potter fetishism is in full swing right now and we all know someone who desperately wishes they weren't a muggle. Make their magical dreams come true with this magic wand that actually works -at least when it comes to controlling the TV. 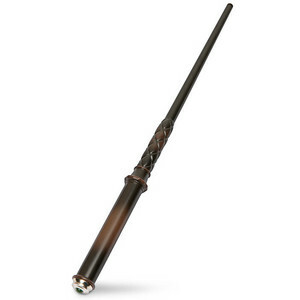 For those with thinner budgets or smaller aspirations, the wand that operates an LED candle is pretty cool for the aromatherapy-loving witch or wizard wannabe. 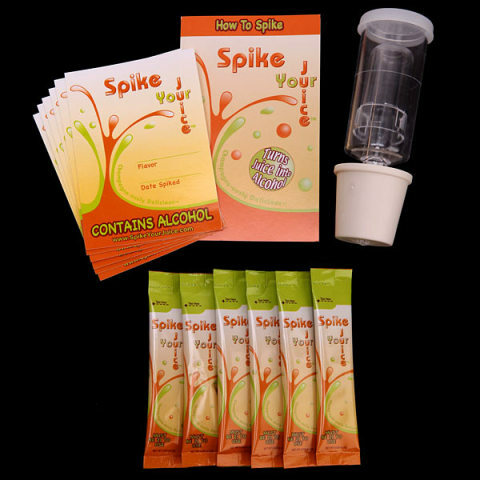 This DIY Juice To Alcohol Kit is a great gift for those alcoholic science nerds out there and for really bad parents who can't think of a better way to get their kids interested in science. Just add juice and a packet of the magical alcohol powder and you will have your own homemade liquor in only 48 hours. The resulting booze will be up to 28 proof -it might not be moonshine, but it sure won't make you go blind. If you don't feel comfortable giving alcoholic science kits to kids or if you're shopping for a recovering drunkard though, the U-Fizz Drink Carbonation Kit might be a good (although slightly less fun) alternative. And of course, if you like this article, check out the original 13 Strange and Bizarre Gifts For The Weirdos In Your Life. Plop Plop Fizz Fizz... OMG, It's Bacon Acid Reliever!